A few months ago, the boys discovered Pete the Cat. We had previously read Pete books but I had never introduced them to the audio version of the book. Once they heard the story as performed by author and storyteller, Eric Litwin, they were hooked. They listened to "I Love my White Shoes" on repeat everywhere we went! 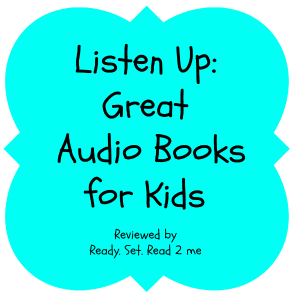 Although I am also a fan of Pete the Cat, after our in car CD player had logged several hundred miles of Pete the Cat, I began to have a need to search for other, different audio books. The boys actually didn't care to make a switch, they were happy with rePete. I began with this list from the American Library Association of Notable Children's recordings. As we listened, I kept a record of our favorites. As we checked out the audio books, I started noticing many of them were recorded by Weston Woods, and so we started checking out more by Weston Woods. Here is a list of the biggest hits in audio books for my two year old and four year old. Jim Gill Presents Music Play for Folks of All Stripes Jim Gill, Inc.
We also found these playaway video recordings. Our library has these little video media players that are already loaded with videorecordings of books. Many of them were previously recorded by Weston Woods. The boys loved one called, Owen: and other stories about families. There were great classic stories by Kevin Henkes, Rosemary Wells, and Emily Jenkins. They were recorded by famous actors. We've been using these in the car too. They are very helpful at parent pick up time. Just be aware that if you check one out of your local library, the fines to replace them are going to be higher than just a book or a cd. Our library doesn't have every audio book available for check out and I bought several for the purpose of reviewing for this post. It was helpful to have other bloggers come alongside and share reviews of audio books as well. Looking at good recommendations helped me to chooose the best books for my kids without spending money on stuff the kids wouldn't enjoy. I found these books on CD/ audio book recommendations for early learners all the way through middle school from Busy Kids = Happy Mom very helpful. 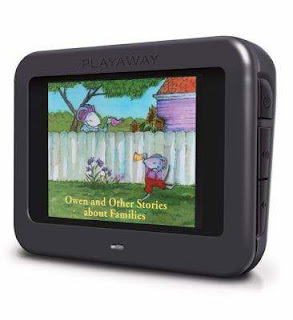 Another way to score audio books for kids without spending money is to check online and to check for free story apps. Storynory is a site with free audio files for books. These are original stories and also fairy tales and folktales. I also like that they have a "junior" section with stories for younger children and recordings of nursery rhymes. I also like the podcasts from storycub. In fact, their recording of All about Poop, a children's book by Kate Hayes, was #1 in itunes. As you can see, in this digital age there are so many ways for children to access books. Children have the ability to listen to stories read in a variety of ways. There should be something they can enjoy right at their fingertips. Of course, once they fall in love with one story, they may want to hear it over and over and over again! Great list - thanks for the recommendations. I pinned this post. My 4yo and I recently listened to Ribsy, which was read by Neil Patrick Harris. I thought it was fabulous!! More demanding more population is a big factor in this season we provide the news from all over world. News are related to Politics, Media, Hollywood and Technology like Super Fast. Great post! We don't do audio books often, but recently I set one up for my boys to listen too, and they were entralled! I need to get more.